Many times, I get asked, “What is the value of having a website?” Instead of rolling my eyes, because I AM from the dinosaur dot.com days (I actually used to program code – seriously, don’t laugh) I give the below answers – some of which may be plain obvious to you Gen Y marketing folks. 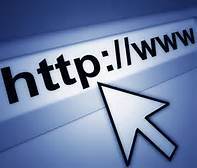 Your Website gives you Street “Cred.” In this day and age, if you are shopping for a home, buying a car, or researching a marketing professional (www.mcommunicationsinc.com – couldn’t help it) – you are going to start with the Internet first. And, you have one chance to make a great impression. So this goes back to the conversation about hiring someone to make you look good if you are not a professional designer. Even if you have a referral-based business, people are still going to do a little homework on you before picking up the phone. Especially in this economy when most people do not have extra money or any money to spend. 3. Blog blog blog. Start a blog. Post content to your blog 2x a week. Again keep it simple and interesting and start a subscribe group if your blogspot allows. This also will drive traffic to your site. Combine the magic three things with an M-Dash of sugar and the spider crawlers will come a crawling, thus improving your search engine ranking and exposure. Websites can give you a competitive edge. This goes back to the research people are doing before they even pick up the phone. Prospective customers research what you offer and how you differ. This is an easy way to SHOW OFF your stuff and why you should be hired instead of XYZ Company. And, the best time is that many people are sold way before you even have the: “How much does this cost?”conversation. Your prospects see the value in what you offer.